His Excellency the Ambassador of the Republic of Serbia in the Russian Federation Slavenko Terzic, Ph. D. visited the Military Intelligence Agency on 8th June and held the lecture to the Agency’s members about the Serbian-Russian relations. The Ambassador Terzic spoke about the current regional and global security challenges and threats. He assessed that the Serbian-Russian relations are traditionally good and promising. The ambassador Terzic commented on the international position and role of the Republic of Serbia and the Russian Federation in the international fight against terrorism. The Ambassador Terzic was the director of the Institute of History of the Serbian Academy of Sciences and Arts from 1987 to 2002. 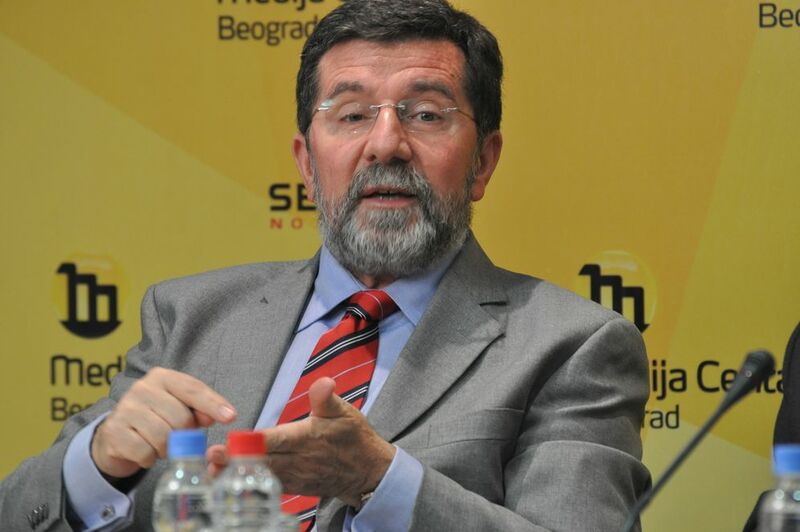 He was also the president of the Serbian Literary Cooperative from 2002 to 2005. At the end of 2012 he was appointed as the ambassador of the Republic of Serbia in Moscow.